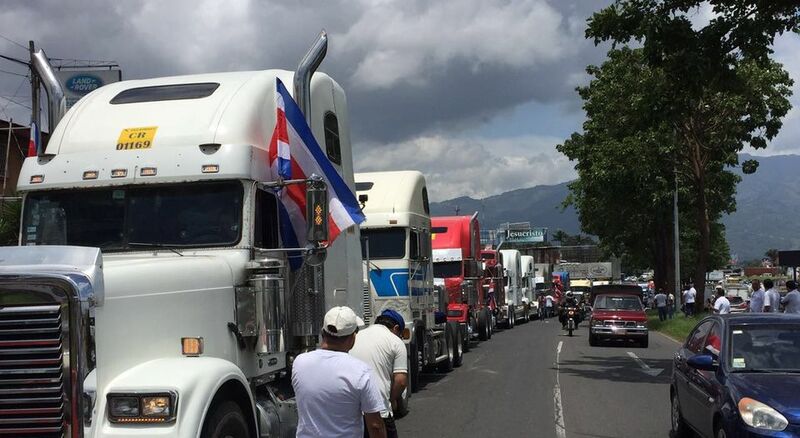 Costa Rica is considering imposing a tax on foreing truckers in response to demands of local truckers. Q COSTA RICA – The Costa Rican Government is to consider hiking taxes on foreign haulers. Meetings were held with domestic companies after protests concerning competition from other neighboring countries. The Government and local firms reached an agreement that lawmakers will consider hiking the current 15 percent income tax rate charge to 20 percent and reduce the amount of time that a foreign hauler is entitled to stay in Costa Rica.